St. Joseph’s Villa believes in maintaining abilities through comprehensive therapy programs for long-term care residents. Our multi-disciplinary team works hand in hand to provide Restorative Care, focused on restoring, maintaining and optimizing strength, function, mobility overall well-being for each resident. We help individuals achieve the best possible outcomes through physio & occupational therapy, exercise, proper nutrition, optimal communication and social interaction. Villa residents live happy, healthy years with us! In partnership with Lifemark Services, our residents are supported with physiotherapy and occupational therapy consultation on site. 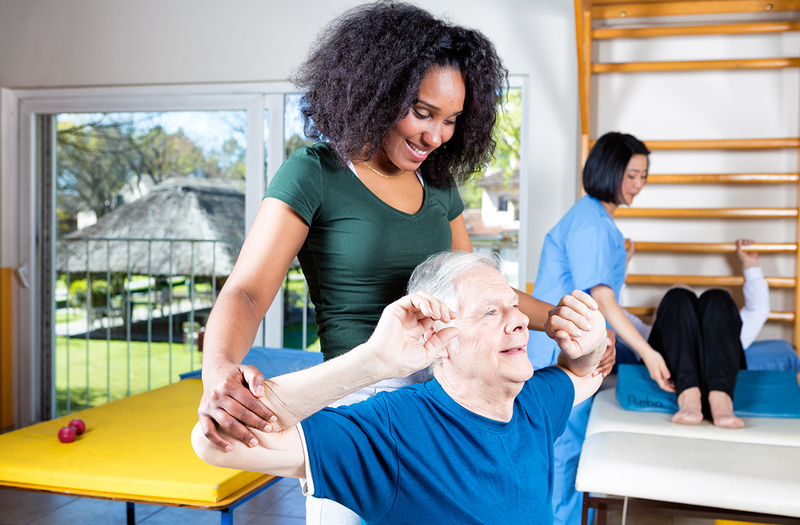 In addition, physiotherapy/occupational assistants (OTA/PTA), who understand the abilities and goals for each resident, work in home areas to provide both group and individualized programs. All residents are eligible for physiotherapy assessment and treatment. 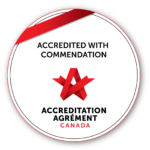 After an initial assessment, a program will be recommended and provided by the OTA/PTA and progress is reviewed every three months by the Physiotherapist. As part of our resident and family centered approach, our therapy team can help enable Villa seniors to participate and be active, regardless of any physical limitations. They make valuable, ongoing assessments and recommendations, as residents experience changes such as declining mobility, cognitive function, or even a medical diagnosis. The Villa offers wheelchair assessment to residents for free. Wheelchair, walking and seating assessments are conducted by our Occupational Therapist. Residents/ their families/ significant others are an integral part of this process. Equipment must be suited to the specific needs of the individual and are prescribed in order to achieve maximum benefit and insurance coverage. Residents may be eligible for 75% government funding towards the cost of their device and will be determined during the assessment. The Villa does not supply mobility aides. Villa residents are provided with a Wheelchair Maintenance program through Cowell Home Health. A technician visits the Villa weekly to address maintenance issues. For more information, please contact the Therapy Department at (905) 627-3541 extension 2259.